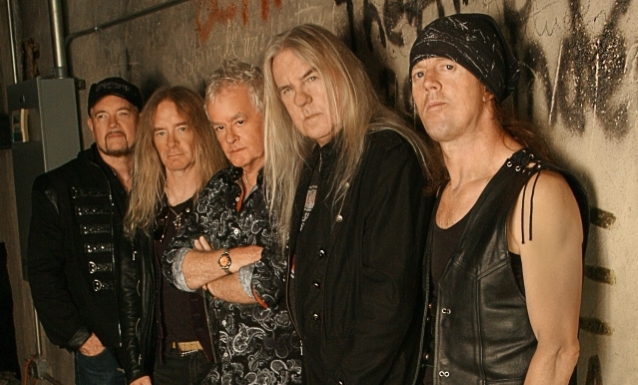 SAXON frontman Biff Byford has told Moshpit Passion in a new interview that the band is planning to celebrate a special milestone in 2019. "We are touring until December, I think, but we've got something planned next year for our 40th anniversary," he said (see video below). "So I'm looking forward to that. There should be some… maybe some festivals and maybe two or three special shows." Byford added that he "can't share" any details about the 40th-anniversary-celebration plans yet because it's "top secret." Although SAXON was formed in 1977, the band's debut album didn't arrive until two years later.